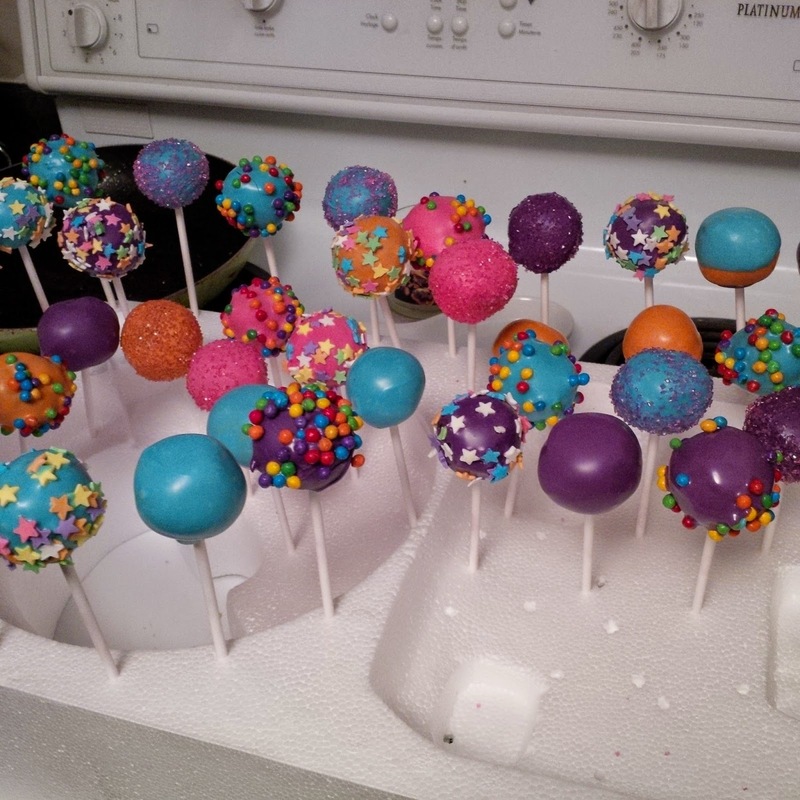 These Cake Pops were made to bring on a weekend away. 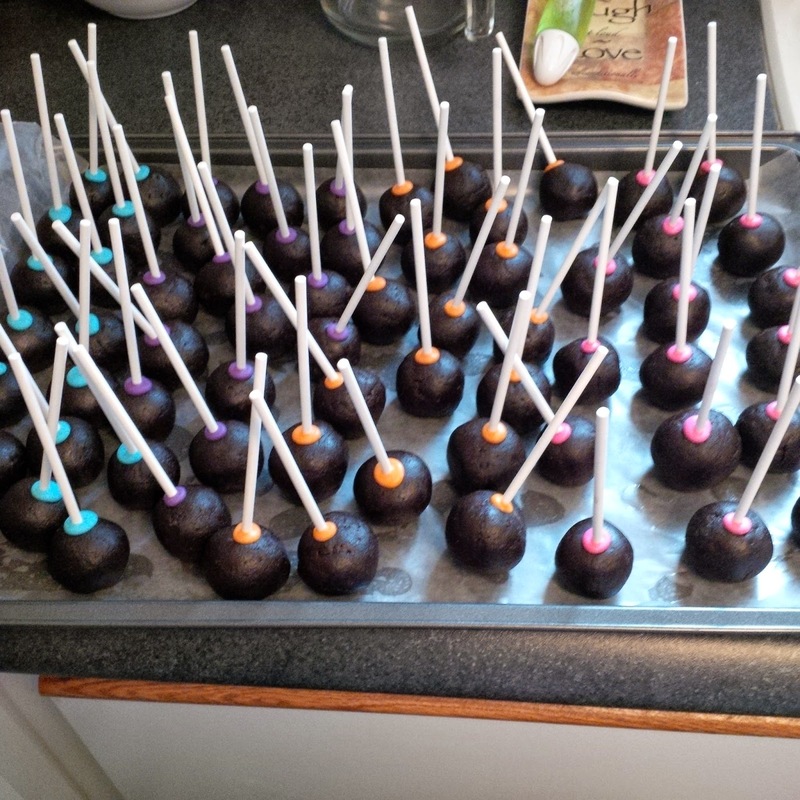 Size: These Cake Pops are about an inch in diameter. Taste: The flavour was chocolate cake with vanilla butter cream icing mixed in.